This past Sunday Half Street Fair Grounds played host to Broccoli City Festival, Washington DC’s first urban Earth Day celebration. It turned out to be a great event that included art, musical performances, food, games, a market and much more to entertain the almost 5,000 people in attendance. 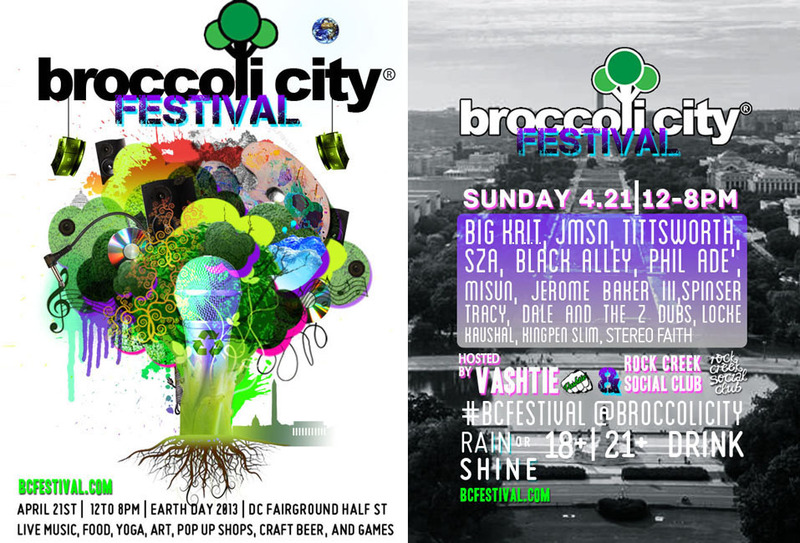 This month (4/21) look out for the Broccoli City Festival at Half Street Fairgrounds partnered with a host of foundations and groups including DC’s Rock Creek Social Club. The Broccoli City Festival will arrive for an all day schmorgesborg of dope earth day treats..